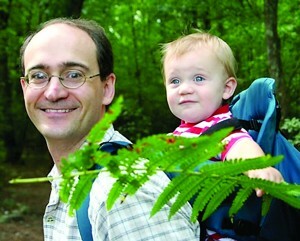 Dr. Michael Black, a lecturer at Georgia State, is constantly balancing his work and family. With a wife, 2 year old and 4 year old he still manages to spearhead the green movement at Georgia State and has been named The Signal’s faculty member of the year. Black received his bachelor’s in Ecology and Systematics from Cornell and began his graduate work at Arizona State University before following his adviser, Dr. Matthew Grober, to Georgia State, where he received his Master’s and Doctorate’s in Biology. He is a currently a lecturer in Neuroscience at Georgia State. Though Black’s work within the classroom is amazing–he teaches two classes as part of a Freshman Learning Community in sustainability on top of other science courses–, he is constantly a part of green organizations on campus and has led the fight for a green fee. Black proposed a green fee to the Mandatory Fee Committee for four years. Each time he failed to get enough votes. Last semester he decided to turn to the Student Activity Fee Committee to achieve his goal. Though he knew the money that would come from the SAFC would not be able to be used for infrastructure sustainability projects at Georgia State, he still presented his request on behalf of the students to the committee. After Black presented the idea to the SAFC, and after almost an entire semester of discussing the request and gathering feedback from students, the SAFC created the new Sustainability Fee Council which was given $10,000 to allocate to green student organizations. Almost immediately, two organizations applied: GSU Bikes and Sustainability Energy Tribe, which Black advises. Black also currently advises the Collegiate Neuroscience Society (CNS), ONE Campus Challenge and Atlanta Herpetology Club. 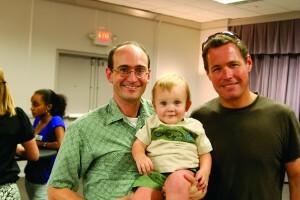 In 2008 a committed group of faculty and staff “started the group called Greening Georgia State. We met to discuss strategies to move the campus towards sustainability and started a Green Bag Lunch (now the Sustainability Forum) to bring interested university members together to hear from outside organizations and institutions what they do and learn more details about the issues that affect metro Atlanta and the state of Georgia. We had no budget and still have no budget, but our hard work and speakers’ generosity has allowed us to be successful in bringing a number of high profile speakers to campus,” Black said. Greening Georgia State has brought in 22 speakers since 2008, most with little to no cost. Black also recently won the coveted George M. Sparks Award. This award has been around for 28 years in honor of the former Georgia State president and is awarded to those within the university that display an extreme amount of dedication to the university and most importantly to the community they are a part of.